Filled with freshly fried tempura pieces. A side of spicy mayo. A side of sweet soy sauce. Are you a bit tired and not feeling like cooking at home? Well, then how about just heading to your nearby restaurant and enjoying yourself a hearty meal. You have been craving for trying out healthy Japanese food and thus planned to visit authentic Japanese restaurant right away. 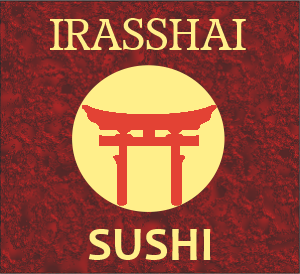 Irasshai Sushi, located in Calgary, offers authentic Japanese food so visit it and get ready to satisfy your cravings in no time at all. We take pride in ourselves for offering our customers the best sushi in Calgary. Our sushi lunch specials are reasonably priced so one can easily afford it. Do you want to enjoy our mouthwatering Japanese dishes from the comfort of your own home? You can definitely do so because we have made it a point to offer you with our Japanese food online ordering service which will help you to get sumptuous meals delivered at your doorstep within shortest possible time after you have place an online order. Are you on the move and feeling hungry? Then why not try out our sushi rolls? Our sushi rolls are a hot favorite amongst clients and we are sure you will also like them once you try them out. We also offer sushi roll specials so just check them out once at your earliest. So, what are you still waiting for? Just schedule your lunch or dinner with us and savor our authentic Japanese food which we are sure you will relish to your heart’s content.